Book your MOT test today using Hanham Garages live online booking system. We can service any vehicle. Get an instant quote and book online. Take advantage of being able to book your MOT 24hrs a day 7 days a week with our simple to use online booking system. A car service gives you the peace of mind that your vehicle is safe both for you and your passengers, and other road users. Bosch software is renowned across the world as the best diagnostic information available.All-in-one solution for ECU diagnostics, troubleshooting, repair and maintenance. If you feel you need your vehicle's alignment checked, We have top of the range alignment tools in order to ensure that your wheels are angled as they should be. We at Hanham Garage pride ourselves in providing the best service in the Bristol, which is evident from the level of satisfaction expressed by every customer that walks through our doors. Here at Hanham Garage / Hanham Tyre Supplies we serve the local areas of Hanham, Longwell Green, Kingswood and Keynsham as well as the general Bristol Area. Our services include MOT Testing, Tyres, Exhausts, Servicing, Petrol and Diesel Engine Diagnostics, Air Conditioning and All General Vehicle Repairs. We are a Bosch Car Service centre. 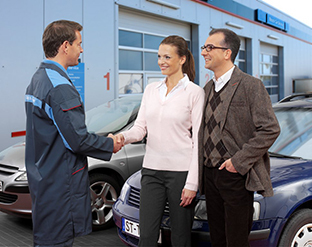 Bosch Car Service is a national network of independent garages across the UK. The technicians at Hanham Garage are trained on the latest technologies and have the most up-to-date diagnostic equipment to pinpoint any faults in your car as quickly and accurately as possible. Any parts that need to be replaced will be of the same quality as those that were originally fitted on your vehicle. Find out more about our Bosch servicing options.